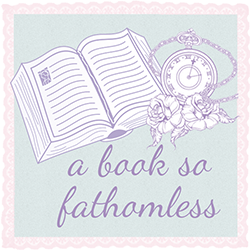 A Book So Fathomless: Rearranging My Bookshelves! I've been meaning to properly rearrange my bookshelves for ages now, but usually I just move about five books around and tweet about how I'm rearranging my bookshelves. However, last Saturday- I actually, finally, did it and this is going to be my (not so) little post about it! So this is my main bookshelf before I attacked it, as well as my little 'immediate TBR' shelf. I should mention that all of these books are my TBR pile...yes, I really do have a problem. Then I decided I was going to put all the books I was 'currently reading' (see books that have a bookmark in) into the little shelf. So I took out all those books from my shelves, as well as the ones already in my 'immediate TBR' shelf. Then I took out all the other books in that shelf. As you can probably imagine, by this time I was already surrounded by books. In fact, when my brother came in to see why I was yelling out some rather inappropriate words (because books being dropped on feet is not fun), he asked when I was going to sacrifice a goat and summon the book devil. I decided then that I was going to write down all the books and the page I was on, which ended up in with the books being organised by size and then the number of pages I read. For example, I've only read 12 pages of Stray so that's on the bottom but I've read 359 pages of The Sweet Far Thing. Unfortunately, not all the shelves are the same size in this bookcase so it meant that I had to mix it up a little. Also, The Fellowship of the Ring refused to fit anywhere so it kind of got dumped on the top there. I ended up picking out the books on my October and RYBSAT TBR so they could take prime place on my shelves. And I played a little game of 'Spot the Allen & Unwin books' which is something I do waaaaaaay more often than I should. Finally, these were the only books I couldn't find anyway (sure, I had to get creative with some of them) but luckily most of these already have homes in other bookcases. I'm sorry it's not the world's best photo but by that time it was already six o'clock at night and I had no natural light left. I will be doing a shelf-by-shelf bookshelf tour soon (I'm not even going to try going book by book)...hopefully. 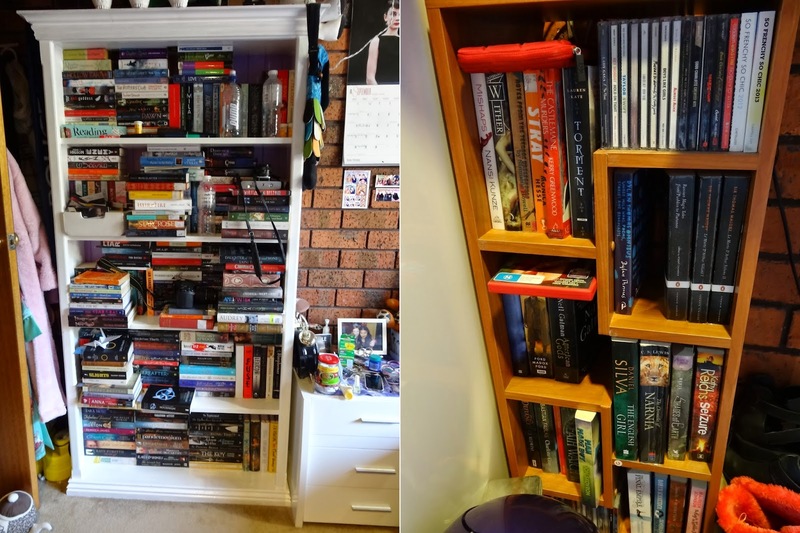 Anyway, I hope you all enjoyed this post and let me know how you organise your shelves!